Set amidst lush greenery, Sapana Greenville is a mere 5-minute drive from the shores of Utorda, one of the most popular beaches in South Goa. The property offers the buyer options varying from spacious 3 and 4 BHK independent villas, featuring premium specifications and amenities for maximum comfort. 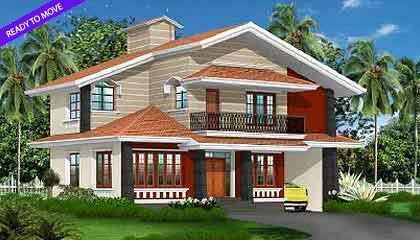 Scheduled for completion by July 2010, the villas offer a tranquil atmosphere with lush green lawns and ample open space. Well-lit streets, professionally landscaped gardens, a swimming pool and clubhouse provide maximum comfort and proximity to all amenities - medical, financial and educational institutions - makes Sapana Greensville surely a great real estate investment choice.